The Law Offices of Todd D. Beauregard, P.C. will help you gather the critical information to make the most informed decision regarding a fair and equitable division of marital assets. Only when the facts are known, can we suggest the options so our clients can evaluate and decide how the best results can be achieved. This process requires trained professionals who are skilled to work with the other spouse, so that all mandatory disclosures are made. Todd D. Beauregard handles divorces in Massachusetts and New Hampshire. Pronounced as “Quad- dro”, it is a qualified domestic relations order, an order from the Court having jurisdiction to have the plan administrator of a 401K retirement plan determine the moment of valuation, and to divide it between spouses. Are prenuptial agreements enforceable? What about post-nuptial agreements? In Massachusetts, the agreement must be fair, both at the time it is entered into, as well as when it is enforced. Postnuptial agreements can be enforceable, but every situation is unique. The most important, mandatory, disclosure to the other spouse of one’s income, expenditures, and financial holdings. All such disclosures are provided to the other side under the pains and penalty of perjury. What about all my efforts as a homemaker while my spouse earned money? Contributions to the marital partnership, other than that as ‘breadwinner’ are included as a factor for purposes of property division, see Chapter 208 Section 34. Does “fair and equitable division of personal property” mean 50/50? Not always. Most parties generally find that a fair and equitable division of their property division is not 50/50, because there is a degree of difficulty in determining precisely what that property is now worth. Examples of real property include the marital home, land, real estate, and buildings. Personal property includes personal belongings, cash, marital assets, holdings, business interests, vehicles and the like. What is marital property division? 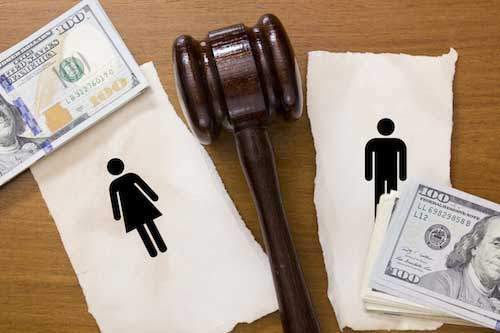 At the end of a divorce, the marital property is divided in a fair and equitable fashion according to law. What Else Can I Do To Learn About Property Division?